I would like to receive occasional information and updates from St George's Hill Silent Auction in aid of Woking & Sam Beare Hospice and jumblebee. The Captain's Charity Day will take place on Wednesday 6th June. The Silent auction lots on this page will now remain open until 5 p.m. on that day. Please note that, where indicated, some time-sensitive Silent and Live auction lots have been sold; as the original Charity Day in March had to be postponed. Please refer any questions in the first instance to Julian Buck, on julianbuck@hotmail.co.uk or 07710 927125. For detailed information on how to bid online, please click on the Auction Guide below. Woking & Sam Beare Hospices Registered Charity Numbers: 1082798 & 1115439 Close. PLEASE NOTE PROXY BIDS ARE SWITCHED OFF ON THE DAY ITSELF ALLOWING FOR THE HIGHEST BID TO BE ACCEPTED. Minimum bid is £700 (Bid increments are £50). The jewel in the crown of Atlantic coast golf in the South West, Saunton presents the visiting golfer with a pair of excellent links courses. Host to the English Men’s Mid-Amateur in 2012, the English Men’s Amateur in 2014, the English Men’s Seniors Open Amateur in 2017 the Club is looking forward to the return in 2019 of the British Boys Championship which, when last held at Saunton, was won by Sergio Garcia. Take the opportunity to come down to North Devon for a couple of days and play both courses in a fourball as guests of Peter Newman. 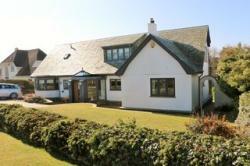 One night’s B&B for 3 golfers is also included; either over a week end or weekdays, dates to be arranged with Peter. The land at Braunton Burrows has hosted golf since 1897 and Herbert Fowler’s 1920’s East Course has long been regarded as the premier West Country course. Its younger sister, the West Course opened in 1935, was redesigned by Frank Pennink in the 1970s and has recently been significantly lengthened. It nestles right into the dunes and has many holes requiring careful placement off the tee to get at the greens with your approach. Both courses will thoroughly test your whole game! And if you have a little longer to spare, extend your stay and enjoy the surrounding coastline, famous for the Tarka Trail, the South West Coast Path and the spectacular surfing beaches at Saunton, Croyde and Woolacombe. 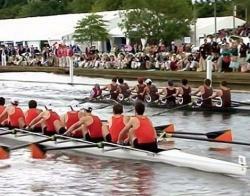 Two passes for the Steward's Enclosure at Henley Royal Regatta on either Wednesday 4th July 2018, to include breakfast, lunch and afternoon tea in the Mile and 1/8 Restaurant overlooking the river. UBS Lunch for 4 - guaranteed fun with Nick Tucker! Lunch for 4 (Roux Brothers) at UBS with Chief Investment Officer and the one and only Geoffrey Nicholas Tucker. Learn about how to manage your investments better and, of course, talk a bit of common sense about Brexit! A factory tour of Xtrac - a must for petrol heads! Minimum bid is £250 (Bid increments are £50). A factory tour of Xtrac for 4-6 people. Xtrac is the leading specialist supplier of high performance racing transmissions. They design, manufacture and test bespoke driveline systems for virtually all the world's top motorsport formula.....Formula One, World Rally, IndyCar, Le Mans, Touring Car, formula E and Hypercar. The personal tour from Xtrac's Chief Designer will explain and demonstrate the design, engineering and manufacturing processes involved at their 88,000 sq. ft purpose built facility. You will get a close look into the state of the art computer aided design and manufacturing techniques required to produce low volume gearbox mechanisms. This is a must for any motorsport fans who are interested in the transmission systems of a modern racing car. Location : Thatcham, near Newbury. Minimum bid is £800 (Bid increments are £25). 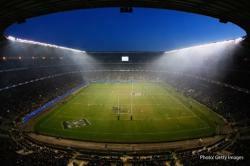 Two tickets to either England v. Australia (24 November) or England v. Japan (17 November). Includes 2 ERIC (England Rugby Internationals Club) room passes. The ERIC room is the (former) England Players' Bar, frequented by players across the eras. Lunch available, free bar open before and after the match - an old school rugby bar so bring your drinking boots! Minimum bid is £1100 (Bid increments are £50). 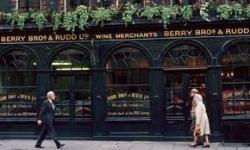 A 3 course meal with fine wines for 4 people at the historic Berry Bros. HQ (since 1698) - No.3 St James St., London. Berry's tell us that the more you pay for this item, the better will be the wines you drink! You will be joined by a Master of wine and have a tour of the cellars and shop - the cellars cover two acres! Minimum bid is £300 (Bid increments are £50). Cheltenham Festival winning National Hunt trainer, Jamie Snowden, is offering a morning on the famous Lambourne gallops for 4 people. This includes breakfast followed by a trip up onto the gallops to see some of his top horses put through their paces, followed by a tour of the yard. This prize also includes 4 tickets to Racing at Newbury. Cheltenham Festival winning National Hunt trainer, Jamie Snowden, is offering a year’s membership into the Jamie Snowden Racing Club for the calendar year of 2018. The winner will receive a weekly update on the club horse; a monthly newsletter from Jamie; regular yard visits and mornings on the famous Lambourn gallops; as well as tickets to go racing when the club horse runs. • Jamie will organise several stable visit in the season for the Racing Club, to see the horses on the gallops. The morning will include a stable tour, question and answer session, and hopefully a bacon sandwich or two. 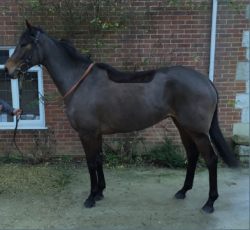 • The Racing Club members will receive a weekly update and a monthly newsletter by email on the horses progress. Jamie will also be tweeting if you follow Twitter. • Race days. 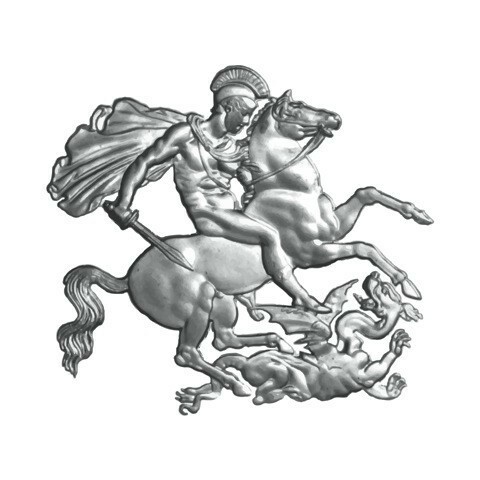 The racecourses limit Owners Badges to 6 or 8 badges, the Club will top this up to 12 and will organise a ballot system for these complimentary badges. • The horses are leased to the Racing Club and not owned by the Racing Club. All training related expenses are not the responsibility of the Racing Club. • Should any prize money won in the season exceed the training and racing costs, it will be distributed to the Club member’s. • Members of The Racing Club must be aged 18 or over. 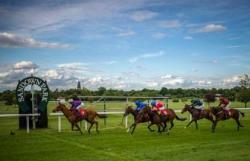 • It should be noted that Membership of The Racing Club is primarily an entertainment. It is not an investment opportunity. • At no time does the Member have a legal or equitable interest in the horse. Minimum bid is £3050 (Bid increments are £50). Two to five people to spend 7 nights in a 2 bedroom villa at the luxurious Banyan Tree Resort in Phuket, Thailand. The resort is connected to one of the best golf courses in Thailand, Laguna Golf, Phuket. (excludes flights/meals/drinks). The villa features a master & twin bedroom, kitchen, study, dining area and lounge. Luxuriously furnished, it is ideal for a family holiday or for a couple or two seeking a destination escape. The property also has a large private outdoor pool (3.5 x 9 meters), jet pool, outdoor and indoor showers, and an outdoor sala – providing a relaxing overview of the villa. See https://www.banyantree.com/en/thailand/phuket/villas/signature-two-bedroom-pool-villa has more details. 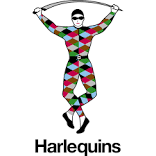 Two people to attend pre-game training at Harlequins on a Friday before a game (“the Captain’s run”) and to meet all of the players afterwards. Two tickets for the Quins’ game the following day also included. Minimum bid is £180 (Bid increments are £20). Two people to enjoy a tour of Mercedes Benz World with both winners riding as a passenger in a Silver Arrows display team car, plus lunch/wine in the Gullwing Restaurant. Two rugby fans will enjoy a day that MONEY CAN'T BUY on Saturday 26th May. You will also experience a pre-match tour of the dressing rooms and tunnel area at Twickenham. Minimum bid is £1075 (Bid increments are £25). 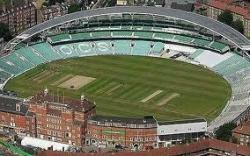 Sunday 9th September: Third day of the Test Match v India at the Oval for four people with seats on the roof terrace in the OCS stand with its legendary full hospitality throughout the day , A visit to the media centre is also included. Take care though, as the donor of this item will be keeping a beady eye on you from his eyrie in the old pavilion! Minimum bid is £850 (Bid increments are £25). Fishing on the Test for 2 rods with 2 gillies (who may or may not be of any help) and a picnic including a glass or two - where the gillies will certainly be helping (themselves)! Minimum bid is £675 (Bid increments are £25). Golf & lunch at The Wisley for 3 hosted by Tony Jansen. Your chance to play this picturesque and challenging Surrey course, where you will do well to keep your ball dry! The Wisley consists of three loops of nine holes and is consistently ranked among the best courses in the country. Originally designed by Robert Trent Jones Jnr., the quality of our course is really second to none. Minimum bid is £850 (Bid increments are £50). You are invited to bring five guests with you to an exclusive private lunch hosted by Miles Kean, Executive Director, Entrepreneurs Division, at Coutts head office 440 Strand, London WC2R 0QS. The lunch will include a Champagne reception and wines and an opportunity to learn more about the 326 year history of Coutts with a historical tour by our Archivist. Another money can't buy experience! 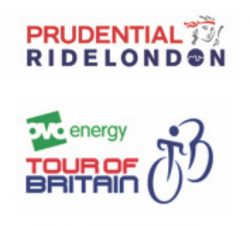 The date of the tour and lunch is to be agreed with the highest bidder and Coutts. takes three months notice to book an agreed date. Private tour for 4 people at the McLaren Technology Centre in Woking, with lunch, expiry date 30 November 2018. 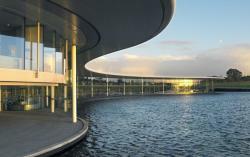 The MTC is home to McLaren Racing, McLaren Automotive and McLaren Applied Technologies. It was designed by Lord Norman Foster and is the recipient of many awards. It houses many Formula 1 World Championship-winning cars from 50+ years of Grand Prix racing. 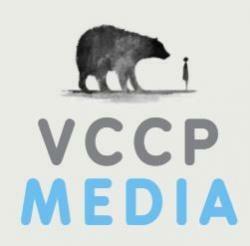 A weeks internship this summer at VCCP, Victoria, London. One of the worlds leading advertising agencies responsible for o2, meerkats, easy jet, nationwide and Cadbury. Learn how it’s done and ideal for any students interested in going into the industry. This could be a life changing opportunity for any student! Minimum bid is £3450 (Bid increments are £50). A four night stay for four at The Fairmont, Southampton, Bermuda in 2 Gold Ocean View Deluxe Rooms. Includes airport transfers; welcome rum swizzle cocktail and canapes in Jasmine Lounge; Full American Breakfast daily; dinner for 4 on one night at Mediterranian Restaurant (inc one bottle of sommelier choice wine); one foursome round of golf at Turtle Hill Par 3 Golf Club; one foursome round of golf at Mid Ocean Golf Club (ranked 45th in the world), hosted by Kiaran MacDonald. Further nights can be booked at 30% off Best available Rate for the specific dates you wish to stay. Minimum bid is £950 (Bid increments are £50). Three people to play the new highly-rated Beaverbrook Golf Course with Tim Edwards. Tim will also treat you to lunch in the luxury clubhouse, once home to the eponymous wartime friend and political colleague of Winston Churchill, who made his name as a powerful newspaper magnate. SKY SPORTS GOALS ON SUNDAY: This is an exclusive opportunity for four people to go exclusively behind the scenes at one of Sky Sports most iconic shows, Goals on Sunday. Experience the thrill of live TV as you watch the show transmit from the studio and behind the scenes in the technical gallery. Meet the hosts Ben Shephard and Chris (Kammy) Kamara and enjoy a post show drink with them and their guest. The prize is to be taken on a Sunday by 6th May 2018, to be agreed with the item donor Ben. Location of studio - Isleworth, Middx. Minimum bid is £1350 (Bid increments are £50). Two people can enjoy 2 nights in a Luxury Linked Villa, inclusive of daily breakfast. Two rounds of golf per person on the Jack Nicklaus North Course, including access to our practice facility for one hour before play and a shared golf buggy per round. This par 72 Championship golf course measuring 6567m from the Tournament tees is a truly unique design; with water coming into play on eleven of the eighteen holes, the golf course features an enjoyable series of eight par-4s, five par-3s and five par-5s in a challenging and distinctive layout. The golf course's presentation is highly individual, each hole a design gem blending effortlessly into this natural canvas, from its ingeniously shaped and sculptured bunkers, to the impressive presentation and attention to detail making every hole as remarkable as the next. Consistently ranked No 1 in Portugal and amongst the best in Europe by many leading publications, Monte Rei North Course is a must play when visiting the exquisite East Algarve. Valid for travel during May, June, September, November and December 2018 - flights & local car hire not included. 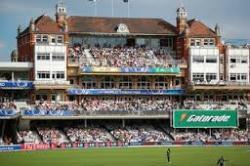 Tickets for two guests at the Surrey Kia Oval with seats on the balcony of the historic Old Pavilion. You will also have access to the Committee Room and enjoy a lovely supper, hosted by David Pakeman. A round of golf for two people at Royal St George's GC in the convivial company of Nick Tucker & Tony Edgerley; including a legendary Sandwich lunch with wine. RSG is one of the most challenging courses on the Open rota, so, if you haven't played it yet, don't miss this chance to do so. 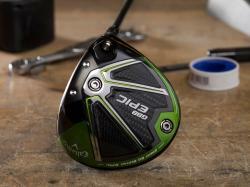 Custom fitting for a Callaway Driver in the state of the art Callaway Performance Centre, Chessington. If you want more length (in your drives!) then this one is for you. Minimum bid is £1400 (Bid increments are £50). 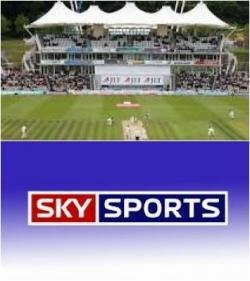 Access to a box for 12 people with hospitality at The Ageas Bowl, Southampton for Day 2 of the Test v India (Friday 31st August 2018) including the opportunity to meet the Sky Sports commentary team 'behind the scenes' courtesy of Sky Sports. A round of golf for four at Bearwood Lakes near Sindlesham in Berkshire. Bearwood Lakes provides one of the most enjoyable golf experiences in the UK. The golf club was founded in 1996 and is already rated as the best inland course to be built for over 30 years. 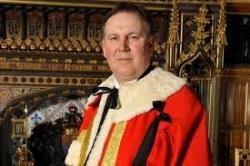 High Tea for 4 at the House of Lords and the opportunity to debate the issues of the day with Lord Stanley Fink. To include a tour of the Lords. Minimum bid is £520 (Bid increments are £20). Enjoy a 4 ball on the Castle Course, the new Championship course at St. Andrews with very challenging greens and spectacular views over the Old Town. Minimum bid is £175 (Bid increments are £25). Two tickets to attend any one day of BMW PGA Championship at Wentworth on May 24 to 27. This is the PGA's flagship event in Europe. Minimum bid is £150 (Bid increments are £25). Justin Rose is hosting this year's British Masters at Walton Heath GC from October 11 to 14. This item is a day ticket for two people to attend this European Tour event on the challenging Walton Heath layout. Minimum bid is £250 (Bid increments are £10). 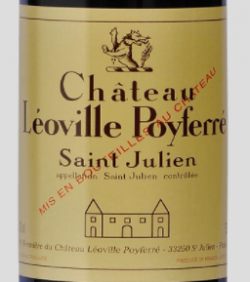 Two bottles of Château Léoville Poyferré Saint-Julien 2002. One of the stars of the vintage, this 2002 reveals a saturated to the rim purple color as well as a big, sweet, provocative nose of earth, liquorice, creme de cassis, and toasty new oak. It possesses medium to full body, great purity, tangy underlying acidity, and an impressively long, 40-second finish. Learn Bowls at Ember Sports Club in April 2019! 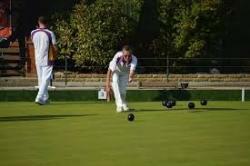 Spend a few hours at the Ember Sports Club Esher learning to play bowls. Max number of players 4. Flat shoes to be worn. Your host for the day will be Adam Willson, SGH member and Ember Bowls Captain for 2017. Included will be free coaching sessions together with a set of bowls for one lucky participant and a drink or two at the bar when you finish! Minimum bid is £750 (Bid increments are £50). A chance for 2 players to play the iconic West Course at Wentworth with Nick Rose (no relation to Justin!) from the European Tour Dept AND the Captain of SGH – Stuart Letts. A light lunch and half a shandy included. Minimum bid is £600 (Bid increments are £25). 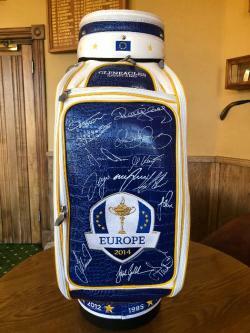 Ryder Cup 2014 tour bag (as used by the players) and signed by the victorious European team, a real piece of history. A great day out with friends on one of Surrey's best heathland courses. UPGRADED: An Audi SQ7 for the weekend! Minimum bid is £395 (Bid increments are £20). 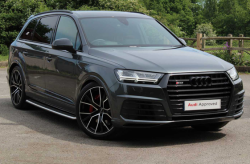 Win the chance to drive a stunning Audi SQ7 for the weekend! Collect it on Friday afternoon from Guildford Audi and return it on Monday. *Due to the nature of their business, Guildford Audi may need to amend the specific vehicle offered, for something of equivalent value. This a chance for 3 people to play the iconic West Course at Wentworth with Nigel Moss the immediate past Captain of Wentworth GC. Before playing you will be able to enjoy a sumptuous breakfast in the fabulous new clubhouse. Play golf and enjoy lunch with "The Rat". Three players will enjoy a round at the wonderful Brough Golf Club, near 'ull (www.brough-golfclub.co.uk); plus a sumptuous lunch (and its not necessarily in a basket!) with fine wine, in the company of the one and only Tony Rattue, former Head Professional at SGHGC; or, as his Linked-in profile says - "Owner, St. George's Hill Golf Club"!! Tickets for four people to watch the 2019 Cheltenham Gold Cup (Friday 15 March 2019) in a Chez Roux box overlooking the final fence. Lunch and all liquid refreshments provided! Hosted by Adrian Coleman. A set of Titleist AP irons fitted at Titleist. Visit the Titleist factory and be fitted for a set of their AP range of irons with the shaft configuration that suits your game. A must for any petrol heads. Two people to attend the British Grand on Sunday 8th July 2018 as guests of the Sahara Force India F1 Team with full hospitality at British Grand Prix Partner Party. The Force India grounds are opposite the main entrance to Silverstone. Golf for 3 at Sunningdale with Gavin Spencer to include breakfast & lunch. Your chance to play this wonderful Championship course which has hosted many Tour events over the years. Two adults stay for one week at a Mark Warner Beach Resort. This includes return flights from London, return transfers, minimum half board accommodation, watersports with free tuition, tennis and cycling across the week. Excludes w/c 26 May, 14 July to 2 Sept and 20,27 Oct, and excludes Helona Beach Resort, Kos. To be taken by the end of the summer 2018 season. (Wednesday 18 July – Friday 20 July inclusive) with private parking. *Please note that the winners are responsible for all of their own travel costs. Tipster talk and parade ring visit. This is a must for all horse racing fans. 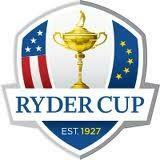 Your opportunity to attend the 2018 Ryder Cup at Le Golf National from September 25 to 30. Situated around 20 miles south west of Paris, the spectacular course is one of the best in the world for spectators and is consistently ranked in Europe’s top ten courses. These tickets are non transferable. Two Centre Court tickets on 3rd July 2018, plus lunch and afternoon tea in the Hospitality Pavilion - leave your car at home! Hosted by Ken Hanna. A round of golf for 3 people with multiple PGA Tour winner, Ryder Cup player & Sky commentator David Howell at Queenwood or St Georges Hill, (please note, caddy fees at Queenwood are not included). This is a game not to be missed, a money can’t buy opportunity with one of the nicest gentlemen you could possibly meet! One week at The Landings in St. Lucia. Stay for a week in the The Landings resort in St Lucia. Up to four can stay for 7 days in a luxurious 2 bedroom Marina View Suite. Dates to be arranged with the donor, Jonathan Hickling. 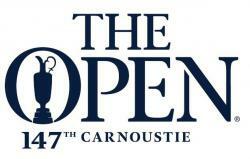 Attend The Open at Carnoustie on Thursday 19 & Friday 20 July. 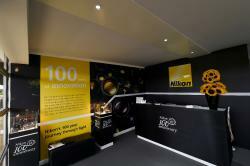 You will have tickets for 10 people in the Nikon Patrons' Corporate Hospitality Suite. The Patrons Suite is literally a 'money can't buy' experience and the offer includes full access to the Nikon Patron's corporate hospitality suite from 8.30am to 7.00pm to include breakfast, 4-course gourmet lunch and afternoon tea; private balcony on the 16th or 17th fairway to view the golf. It includes a reserved table for lunch; champagne and complimentary bar throughout the day; souvenir programme and order of play; access to the course and Patrons' halfway house and complimentary car parking passes in the nearby Patrons car park. 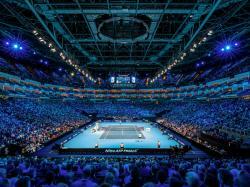 Four top category tickets, inclusive of hospitality, to the Final of the 2018 Nitto ATP Finals at The O2 on Sunday 18th November. 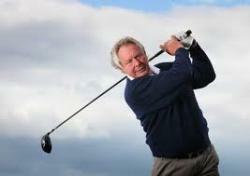 Four golfers can enjoy this East Kent Open Championship Tour. It includes a 2 night stay at Princes Lodge including breakfast, 3 days golf at Royal Cinque Ports, Princes & Royal St George's. If you have never played these courses before then you are not only in for a treat but a great golfing challenge as well. Rob McGuirke & the 3 Courses. A week's holiday on the Trevose estate with golf. On offer is a week in a four bedroom holiday home at Trevose, near Padstow. Carnweather is a five minute walk from the Trevose Golf Club. The house can sleep up to 10 people, with four bedrooms and a sofa bed. The house has a kitchen diner, lounge, and a snug with views overlooking Trevose Golf Club and Trevose Head. There is a patio and large garden to the rear. Nearby, there are several excellent beaches and some well known restaurants. 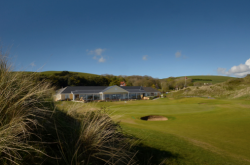 Trevose Golf & Country Club (https://trevose-gc.co.uk) offers an array of activities. The Harry Colt designed championship course was opened in 1925 and has held a number of Championships including the Brabazon Trophy in 2008. In addition to the Championship Course is the 9 hole Headland Course, and The Short Course for children. The Club has three tennis courts, an outdoor swimming pool and games room for children. 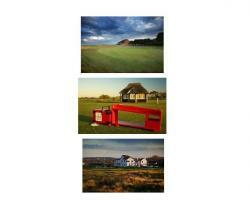 Included in this lot are 4 green fees for golf at Trevose Golf Club, kindly offered by Nick Gammon. 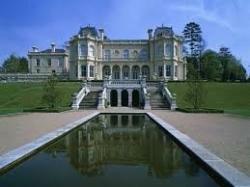 The dates are to be agreed with the Owners via the St. George's Hill Golf Club Office – 01932 847758. Subject to existing bookings, the week and can be taken any time in 2018 or 2019, excluding August and the Spring half term.